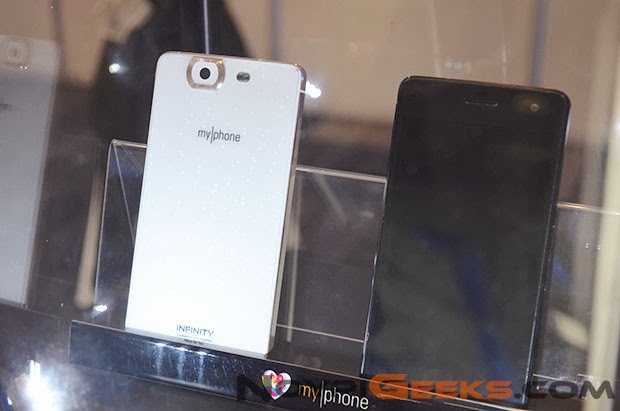 MyPhone will be launched their first octa-core smartphones-the new Myphone Agua Infinity. According to Noypigeek the Myphone Infinity sports 5-inch Full HD display, powered by 1.7GHz octa-core MediaTek MT6592 processor and Mali 450MP GPU and 16-megapixel rear camera. The back cover of the device are non-removable. The specs above may change when MyPhone Infinity arrives in MyPhone stores, kiosks, and accredited dealers nationwide in the coming weeks.